Dragonlance Canticle - Page 12 of 13 - Dragonlance podcast, by the fans for the fans. Hey all, I know it’s been quiet from the Canticle lately and things have slowed down a bit. Just wanted to let you know we’re still here, things have just been really super busy for some of us this summer. We’re working on Episode #7 now and should be out soon. 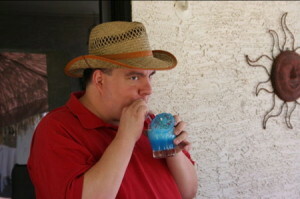 Following that GenCon is coming up and Episode #8 will be a discussion about our adventures there. So relax, curl up with a good book (*Cough* Dragons of the Highlord Skies *Cough*) and enjoy the summertime and we’ll be back on a 2 episodes/month schedule after GenCon. At last, the promised episode about the Heroes of the Lance…well sort of. As we began the disscusion of – if we could move beyond the HotL, they really became more of a springboard for us to say how we could move forward. Take a listen. We open the show with a couple announcements about Leaves III and my left ear. The first half is about the HotL the second half is how we feel it should be done. Yes, we are chock-full of opinions on this. What do you folks think? Can or will we ever move on? If so, how do you see it happening? Let us know either by leaving a comment or joining us for discussion on the Dragonlance forums. Oh, and by the way, there must have been something in the water that night, because I make a couple of really bad joke. My apologies…well, not really. Enjoy! 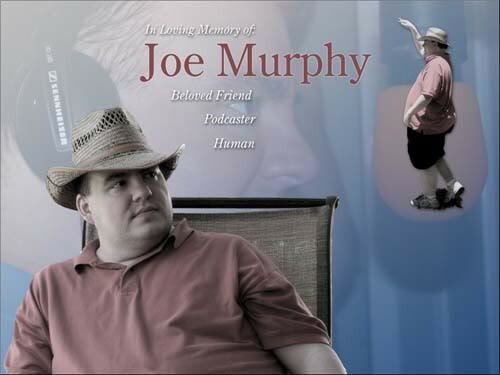 As said before, we lost Joe Murphy yesterday and as part of the Farpoint Media podcasting family we present to you a tribute to Joe Murphy. Along with this I give you what will be a classic and truly honest look at the humor that was Joe, hanging out with Captain America. Hello all, Joe Murphy succumbed to his battle with cancer and passed away today. Joe was a smart, witty, stand-up guy that we all loved. In honor of him, we are joining the podosphere in a week of silence this week. So we ask you to join us and honor the man that meant so much to so many people. So please come back next week and join us for episode 3 on Wednesday, April 11th. In the mean time please visit the Joe Murphy Memorial Fund and discover the good that has come out of this very sad situation.